WELCOME USA Community College Consortium is a group of five accredited community colleges dedicated to helping international students succeed. All of the colleges are located in safe, desirable communities and are within one hour of a major American city. The colleges all offer English language courses (ESL), university transfer (2+2), career degrees, and more. USACCC students have access to excellent support services and gain the education they need to transfer to top universities and enter the global marketplace. University Transfer Pathway USACCC community colleges are a great place to start for international students who dream of earning a four-year bachelor’s degree in America. After earning an associate’s degree, our students qualify to transfer to nationally ranked four-year institutions located throughout the United States. You may study almost any major at a USACCC school including: Business (Accounting, Administration, Finance, Marketing, etc. ), Science (Biology, Chemistry, Engineering, Physics, etc. ), Liberal Arts, Social Sciences (Political Science, Psychology, History, Economics, etc. ), Humanities/Arts, (Visual and Performing Arts), Computer Science, and many more. Career Programs Our schools offer a variety of associate degrees that teach you the skills needed for careers and industries in high demand. Each school offers a variety of career degrees programs to choose from including the following: Environmental Conservation, Hotel, Restaurant & Tourism Management, Information Technology, Marine Maintenance Technology, Culinary Arts, Nursing, Business Management, Agriculture Technology and many more. On our 150-acre campus, international students from more than 27 countries have access to state-of-the-art campus facilities and top notch degree programs. Housing that is adjacent to the campus offers private rooms with shared facilities, along with a game room, swimming pool and computer lab, and is conveniently located to classrooms, shopping mall, supermarket, banks and movie theaters Student groups hold regular events including Club Rush, Health Fair and an International Food Festival. The college also sponsors intercollegiate teams in baseball, softball, and men’s and women’s basketball. LOCATION Our campus is located in the safe and sunny community of Ocala, Florida. We are within driving distance of Walt Disney World, Universal Studios, NASA’s John F. Kennedy Space Center and world-class beaches. Our students enjoy a tropical climate with hot and humid summers and mildly chilly winters. You should pack lots of sandals and shorts, and bring a few sweaters. Students can travel around campus and the surrounding area by walking, or riding a bicycle. Bicycle racks are located next to classrooms and other buildings on-campus. Students may also ride the Ocala city public bus system for a reduced student fare. The bus stops and picks up students right on campus. Delaware County Community College international students from 55 countries enjoy a peaceful, high-tech campus surrounded by nature, with easy access to the dynamic city of Philadelphia. The College recently invested $60 million in a STEM (Science, Technology, Engineering, and Math) Complex and other renovations designed to support educational innovation. New facilities include science laboratories, art studios, small sun-filled classrooms, collaborative meeting rooms, student lounges, a fitness center, aerobics studio, Fair Trade cafés, and tiered lecture halls. We encourage our international students to get involved in a wide range of opportunities on and off campus: clubs, organizations, athletics, university transfer fairs, and Campus Philly events. Staff and faculty are dedicated to helping international students become well-rounded and successful. LOCATION The College is located in Media, Pennsylvania, known as “Everyone’s Hometown.” Media is a quiet, familyfriendly, safe community with excellent grocery stores, restaurants, shops, and parks. Students live in homestays or apartments near the College and travel by bus or car to campus. Train and bus systems link students from Media and other suburbs to the city of Philadelphia. On weekends and breaks, international students can conveniently visit the amazing cultural and historical treasures in and around Philadelphia, which is home to some of America’s best museums, theaters, and markets, the Liberty Bell, Independence Hall, the University of Pennsylvania, 100 nearby colleges and universities, and more. Within hours, students can also experience New York City, Washington, D.C., and beautiful gardens, mountains, and beaches. Delaware County students enjoy the wonderful holidays, foods, and activities specific to the four seasons: fall, winter, spring, and summer. We are the second largest community college in Illinois, with international students from more than 50 countries. We provide the best of both worlds: a peaceful campus set in nature, where students can focus on their academic goals, but enjoy easy access to a culturally rich and exciting big city of Chicago nearby. Our Student Life office has more than 35 student clubs and organizations students may choose to join including Asian diversity, art club, film fans, music club, student newspaper and more. The College also offers sports and athletics teams including, soccer, basketball and tennis. International student also benefit from Conversation Partners and Student Ambassadors to make friends, gain new skills and get involved. LOCATION Surrounding our campus is a safe and comfortable family-oriented community with shopping malls, grocery stores, restaurants, movie theatres, a golf course and library within walking distance. Moraine Valley is also bordered by nature with trees, hiking, bike paths, and picnic areas for outdoor recreation. Nearby, Chicago is a business, cultural and educational center and home to many companies including Boeing, Hyatt, McDonalds and United Airlines. The city offers world famous architecture, museums, art, music, sports teams, beautiful lakefront beaches, public parks, and almost 100 colleges and universities. The Midwest location offers four distinct seasons, summer, fall, winter, and spring. Students enjoy nature and the different activities the diverse seasons bring. The public bus system comes directly to Moraine Valley’s campus and connects students to the communities around the College. Students walk, ride bikes or take a bus to campus. Using public transportation, students can reach Chicago in about an hour. Our 102-acre Mount Vernon campus features modern buildings and the latest classroom technology to make your learning experience the best that it can be. Our student-housing complex, Campus View Village, is located onsite and is a short three-minute walk from most facilities. SVC students may participate in a variety of extra-curricular clubs and activities, including the Conversation Partner Program, student government, KSVR college radio, and collegiate athletics that include soccer, tennis and baseball. The International Programs office also arranges trips to Seattle, game nights, local outings, and more. LOCATION We are located in beautiful Mount Vernon, Washington, midway between the metropolitan cities of Seattle, Washington and Vancouver, B.C., Canada. Mount Vernon is a safe and friendly community with all of the conveniences of a larger city. The campus is conveniently located and students can easily walk or take a bus to local grocery stores, restaurants, shopping malls, and movie theaters. The Cascade Mountains stand to the east, overlooking Skagit Valley. Students can enjoy outdoor activities yearround including skiing, snowboarding, hiking, camping, and visiting the nearby San Juan islands. Although SVC students enjoy the four seasons, they will not experience extreme temperatures found in other areas of the United States. Summers are warm and dry, Winters see little or no snow, Springs and Falls are mild and wet. SVC students can easily get around by walking, bicycle, and the bus. Students can purchase a reduced rate bus pass from the college each quarter. The bus stops directly on campus and connects you with other surrounding counties and communities. The buses also provide bike racks so you can easily use your bike along with the bus. Students looking for a safe and friendly environment might want to look toward the west side of Central California’s San Joaquin Valley. 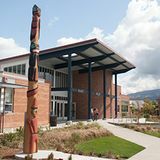 Our mission is to provide a world-class learning environment to a diverse student population in a small town, friendly atmosphere. Faculty and staff enjoy welcoming international students from every part of the globe. Throughout the academic year, the International Students Program Office provides activities for the international students to enjoy. These include on campus student activities, athletic opportunities, and field trip excursions to popular tourist destinations in California, including Universal Studios, Santa Cruz Beach Boardwalk, Hearst Castle, Monterey Bay Aquarium, Gilroy Outlet Mall, Yosemite National Park, Disneyland and many other exciting locations in California. LOCATION Coalinga is centrally located, mid-way between Los Angeles and San Francisco in California’s Central Valley, which is considered one of the world’s most productive agricultural regions. Coalinga is a small, safe, rural community in the heart of California in the Western United States. Coalinga is located three hours from San Francisco and Los Angeles as well as Yosemite, Sequoia, and Kings Canyon National Parks, and the dynamic California coastline. Central California provides a comfortable Mediterranean Climate. Mild temperatures throughout the entire year allow students to enjoy outdoor activities and events. The community of Coalinga is a small, safe and easily accessible town, that allows students to walk to any destination within the community. Students will not need to purchase a car. Students can walk throughout the community or choose to purchase a bicycle. OUR LOCATIONS After earning an associate degree, our students qualify for transfer as a third year student to many nationally ranked four-year institutions located throughout the United States. 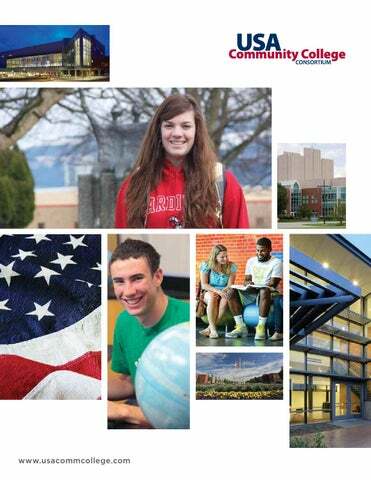 Brochure for the USA Community College Consortium. Study in the USA.